Product prices and availability are accurate as of 2019-03-24 07:09:37 EDT and are subject to change. Any price and availability information displayed on http://www.amazon.com/ at the time of purchase will apply to the purchase of this product. 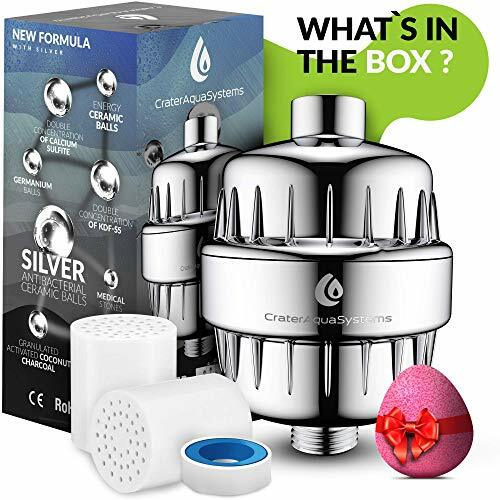 Improve your life with the New Formula shower water purifier filter with Silver ceramic balls from CraterAquaSystems! 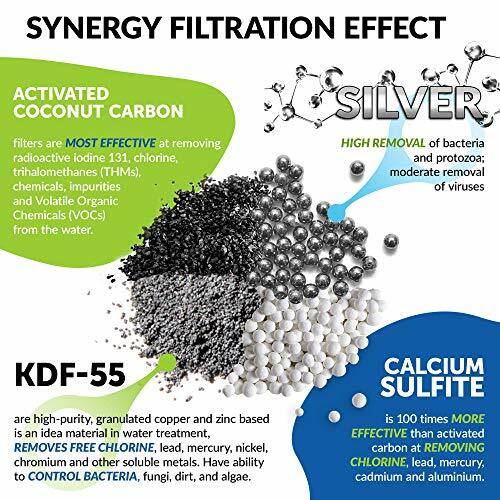 With your wellbeing in mind we created an advanced inline filtered shower head with silver layer ions which in combination with KDF 55, calcium Sulfite and Active Carbon effectively improve the tap water filtration. 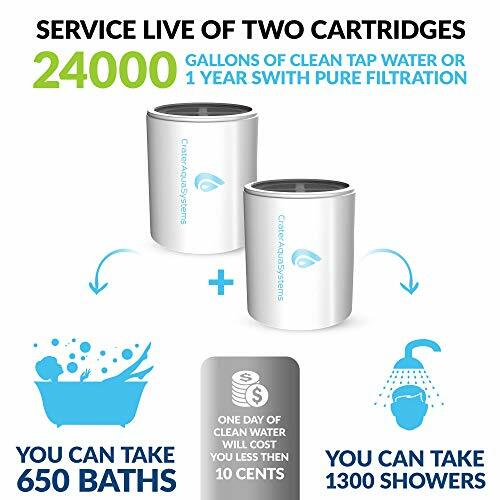  Extra bonuses: Two CARTRIDGES for longer-lasting showering support. Bring Crater Aqua freedom to your life! 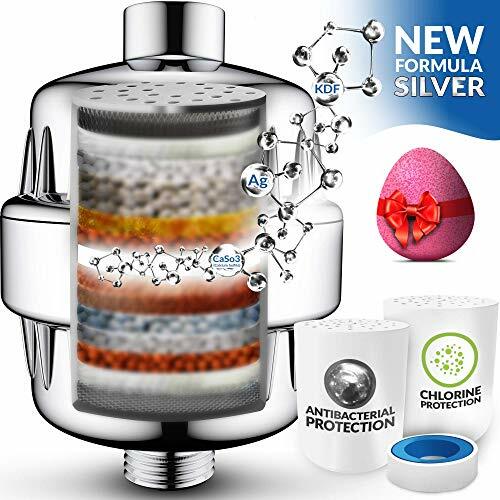 New FORMULA multi-stage shower filter: to the blend of Active Carbon, Calcium Sulfite, KDF-55 is added Silver ceramic balls. New Silver helps in the Breaking down of Bacteria in tap water. High Performance water shower filtration ensure a LARGE FLOW RATE, effectively REDUCE over 97% of CHLORINE in addition to impurities, bacteria, heavy metals, lead, iron. Shower purifier PREVENTS skin aging and IMPROVES the condition of your nails, RESTORES damaged hair and REMOVES unpleasant smells. 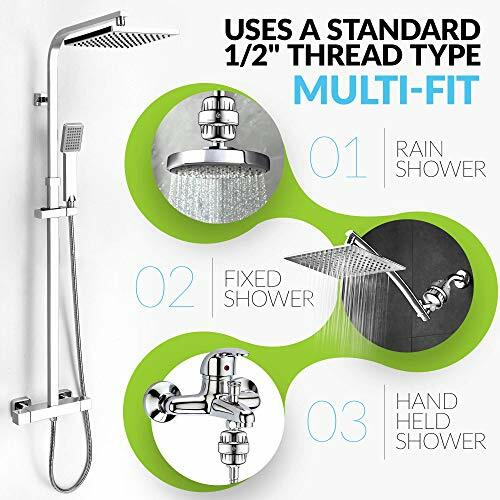 Universal filter COMPATIBLE with ALL TYPES of showerhead including standard faucet, handheld shower systems, rain shower heads, inline faucet. 2 filter CARTRIDGES: can be easily replaced. 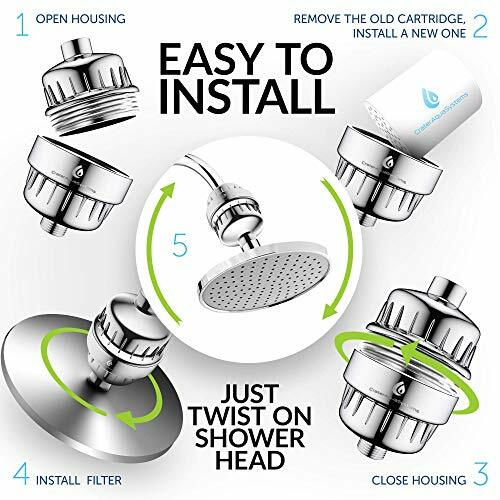 SIMPLY twist on and start showering with NO LEAKING problems. Shower filter set includes everything for fast installation!